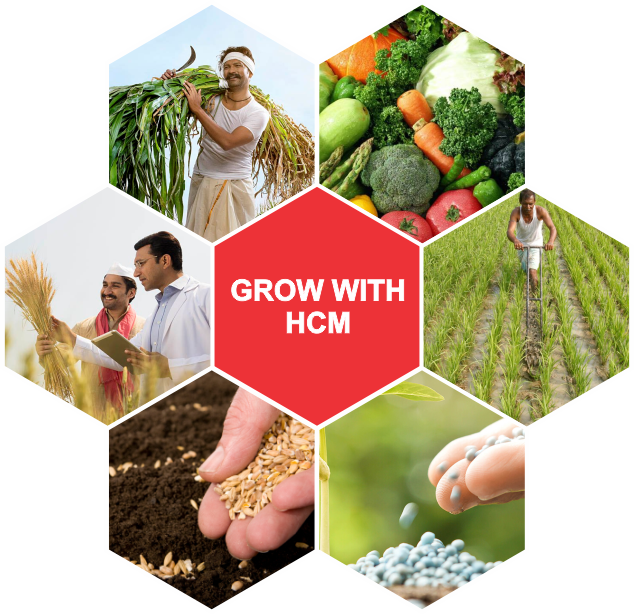 About Us – HCM Agro Products Private Ltd. It all started in the year 1999 with a small scale of agriculture product processing unit setting high standards of integrity and business ethics offering quality products to our customers. In a short span, we earned a reputation of being a "fair business practices" company that helped to create value through business in an authentic way. This reputation and goodwill gave us the cutting edge to stand high amongst our counterparts in the business. Today, we have grown from a small business house to sizable unit having strengthened our product line with quality products. Our aim is to answer the fundamental needs of the farmer and to add an everlasting smile on his face by offering right sustainable solutions to his problems. We are willing to spread awareness of plant growth remedies through nature’s hidden capacity which will lead to prosperity in the living community. We shall strive to secure resources that influence agriculture in achieving food security, better nutrition while restoring earth’s health and joy for mankind. The company board comprises of eminent and experienced individuals from diverse fields. The board acts with autonomy and independence in exercising strategic supervision, discharging its fiduciary responsibilities, and in ensuring that the management observes the highest standards of ethics, transparency, and disclosure. The team work with a clear and common purpose helping us conduct our agriculture inputs business operations successfully. The combined skills of its people and their passion for results act as the catalyst to continue success and we believe that our strong management team is crucial and dedicated in making this happen. We have established a strong foundation of integrity and compliance that helps to guide employees in making good, ethical business judgements and acting with integrity.